The piggyback plant is a highly-rewarding houseplant that demands very little from you. It's also one indoor plant that you can grow without being guilty of favoring non-indigenous plants. This green gem is a native species from the Pacific Northwest woodlands. Named Tolmiea menziesii after William Fraser Tolmie, and commonly called the piggyback plant, it grows wild in cool, moist, and shady forest floors. You can grow it in a shady nook in the garden in USDA Zones 6 through 9, or keep it as an attractive indoor plant. It doesn't take too much imagination to see why it is called piggyback plant when you see the bright new plantlet sprouting from the base of the old leaf. Not only does it sit piggyback on the old growth, it takes a piggyback ride to a new life. When the little one grows bigger, the old leaf sags under its weight and touches the ground. Roots are formed at the point of contact. The old leaf eventually disintegrates into the soil and paves the way for a new, independent plant. According to Washington State University, other names for this plant include Thousand Mothers and Youth on Age. These names give a great description of these plants. 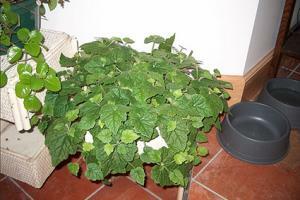 This interesting plant is grown indoors for its lovely evergreen foliage which is slightly lobed like that of ivy. The leaves are hairy, and their margins are serrated. The light green plantlets offer a slight amount of contrasting color when viewed against the darker mature leaves. There's a variegated type named Tolmiea menziesii "Taff's Gold," which is a bit brighter with its green and creamy yellow, mottled leaves. Container - Piggyback plants can be grown in pots, but they are often planted in hanging baskets. Since their roots run along the surface of the soil, containers that are wider than they are deep are ideal. Good drainage is essential to prevent water logging. Soil - The piggyback plant loves humus-rich, well-draining soil as can be expected from a woodland plant. Light - These plants thrive in moderate light even though they can also survive in low-light conditions. An east or west exposure or bright indirect light will do. Water - It is best to check the soil surface before watering. Give more water only if the soil is on the dry side. Even though this plant grows best in moist soil, it doesn't like sitting in water. Fertilizing - Piggyback plants appreciate some top feeding during the period of active growth from May to September. A monthly application of an all-purpose liquid fertilizer is sufficient. The growth slows down after this period, so feed it only once every two months until the next growing season. Pruning - After the initial bushy growth, you'll find scraggly and uneven growth in your hanging plants. That's because the new plantlets cannot take root and add a new layer of foliage over the old as they do in the garden. Simply trim off the leggy stems. Repotting - When the plant has become root bound, the growth suffers, and the plant will a lack vigor. If all the water seems to just run out through the drainage holes as soon as you water the plant, this is another indication of being root bound, which means it's time to repot it. Repotting is best done in spring when the active growth of the plant will help it rebound quickly. Lift the plant from the pot and trim it slightly, removing excess roots and branches. Plant it in the middle of a larger pot of well-draining, rich soil. Water it thoroughly and keep it in bright light. Mealybugs can feast on your piggyback plants. Check for infestation on the young stems and under the leaves when you water the plant. If you see a white powdery substance or the soft-bodied mealybugs, take the plant outside and spray it down thoroughly. Follow it up with an organic insect deterrent such as neem oil spray, or soak the soil with a systemic insecticide like Imidacloprid. Spider mites can be a problem too, especially in plants kept in warm and dry areas. If you see fine webbing on the undersides of leaves or between them, use a systemic insecticide and them keep the air moist by misting the plant often or keeping water in a pebble-filled pan near the plant. 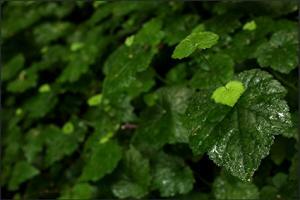 Piggyback plants will form a green carpet in moist, shady areas of the garden. 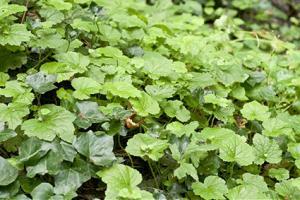 They can be used as groundcover under trees where the dappled light and extra humidity will encourage their lush growth. They are good as bedding plants and borders in areas that have partial or full shade. This plant reaches a height of 1 to 1 ½ feet, and it will spread to 3 to 6 feet around, effectively providing the area with a low maintenance groundcover. Light - The piggyback requires partial shade to full shade. A little morning light is fine if the area is kept moist. Water - Provide water regularly, depending on how fast the soil dries up. This plant likes moist soil and suffers in dry conditions. Fertilizer - Feed with a foliar spray once a month in spring and summer, and less frequently at other times. Flowering - In late spring to early summer, you may see short spikes of flowers among the mass of green. The individual flowers are small, brownish purple and not very striking. Pruning - This plant is naturally low growing, and its habit of new growth smothering the old can act as a kind of self-pruning. However, you can control its spread out of the designated area by trimming the edges. Having a thick layer of bark or pebble mulch around the bed will keep the plant naturally contained by preventing the new growth from taking root where it's not wanted. Tolmieas are perennial plants that are winter hardy up to USDA 6, but they are not long-lived plants. They die back in about two years. That makes it essential to propagate on a regular basis, preferably every year, to keep your collection steady. Cuttings offer a very economical way to increase your collection. Prepare a tray of moist potting soil. Select mature leaves with healthy plantlets. Lift each leaf and cut it off with ½ inch of stalk attached. Insert each stalk in a hole and gently press the leaf down so that the point where the stalk joins the leaf blade hugs the soil. Place the tray in a bright area and keep the soil damp. Roots will develop in one or two weeks, and the old leaves will slowly die. When the plantlets are well established, you can transfer them into prepared pots. Take an overgrown plant out of the pot and divide the root ball into several sections, each with a stem or two attached. Pot them up and water regularly. Sow the seeds in seed starting trays and keep them covered with a sheet of glass or plastic. Keep the soil moist, and you'll have little plants sprouting all over. Pot them individually when they develop four to five leaves. Whether you grow piggyback plants indoors or out, they are very fun to cultivate. The next time you need a rewarding and easy-to-maintain houseplant, consider a piggyback and you won't be disappointed.